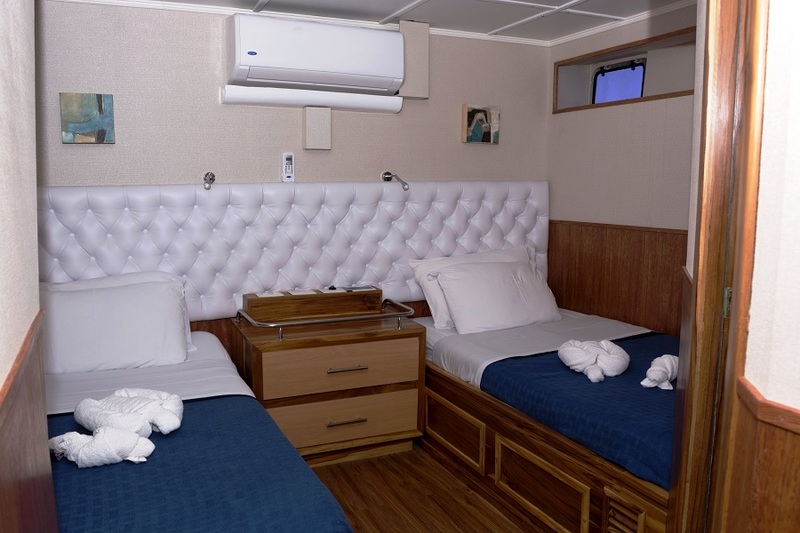 The Tip Top III was designed to offer the highest level of security and comfort to the guests. 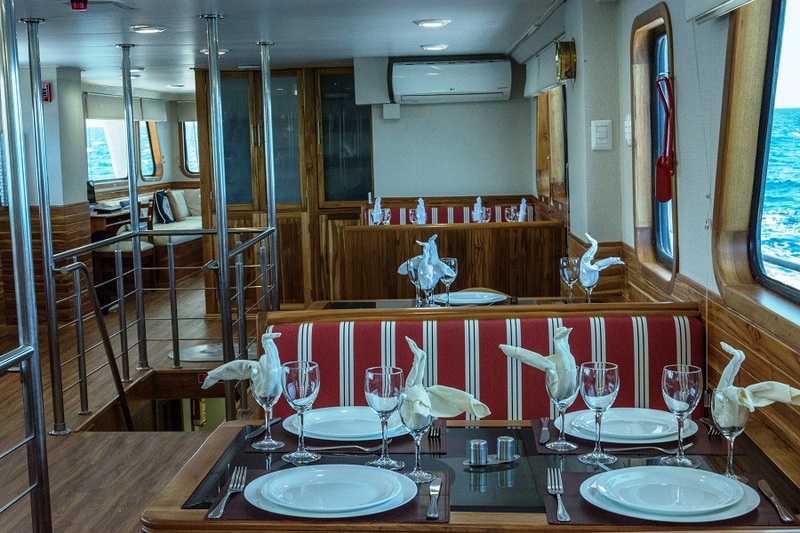 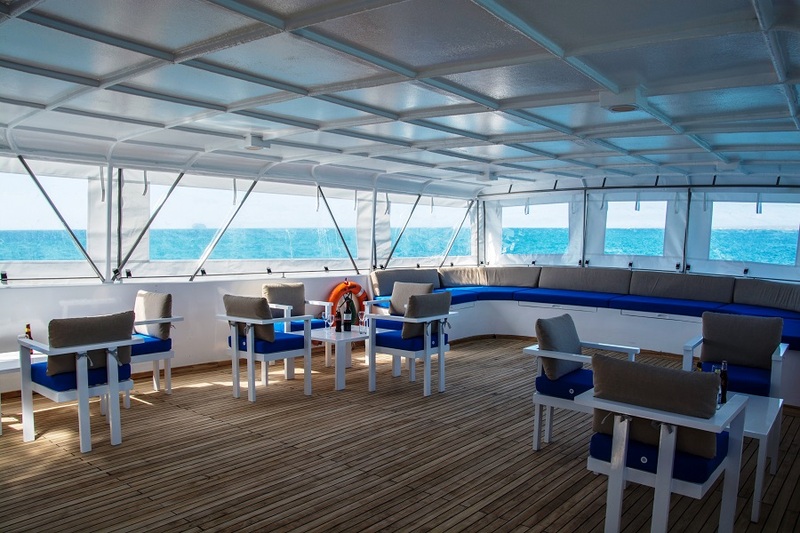 It offers you all the facilities in each cabin and the social areas like the bar, dining room, lounge and sun deck are perfect to meet people and have fun in the enchanted islands. 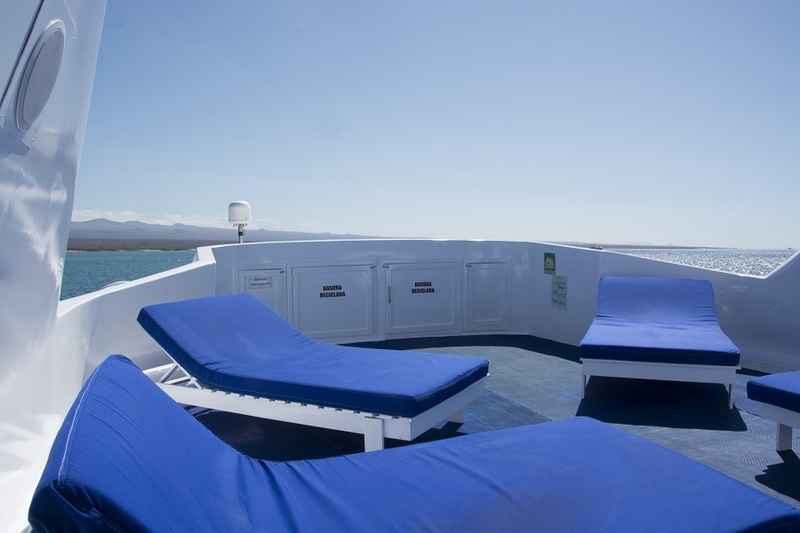 With a large sundeck and easy access off the back, this boat is perfect for snorkeling and enjoying the Galapagos Islands. 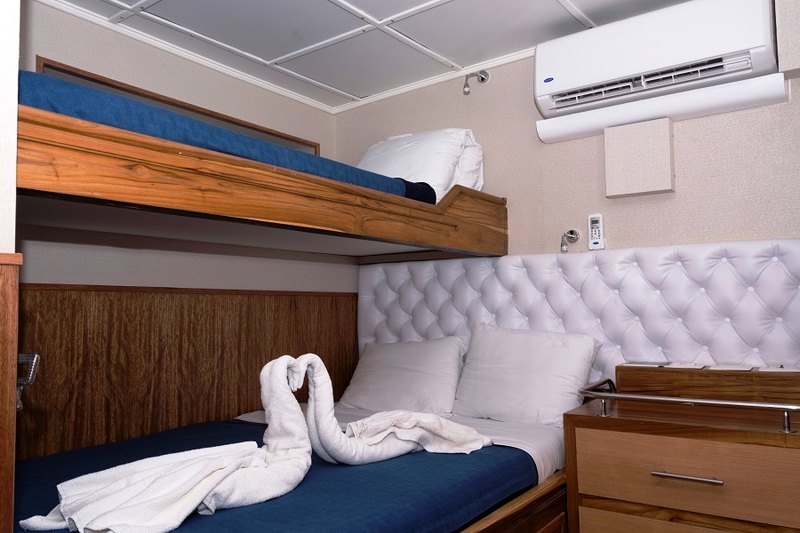 Each of the craft’s nine cabins comes with a private bathroom (equipped with both hot and cold water), a personal safe, and wardrobe. 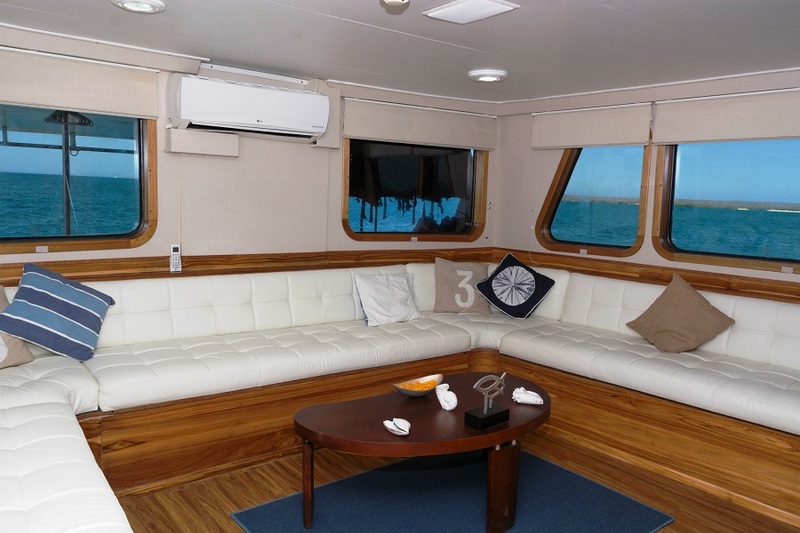 The Tip Top III is fully air-conditioned and carpeted inside, with amenities that include a TV/VCR with sound system, an inviting dining room, a well-stocked bar, an informative library, and a roomy sundeck.